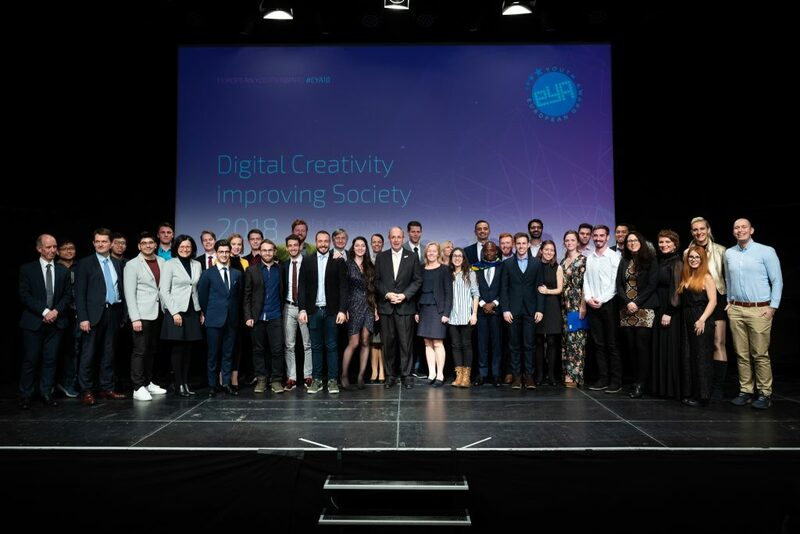 In the city of design and human rights, Austria`s proud place of science, known by its international and multicultural atmosphere, the European Youth Award (EYA) kicked-off the holiday season with truly inspirational and rewarding program devoted to the digital solutions to improve society. 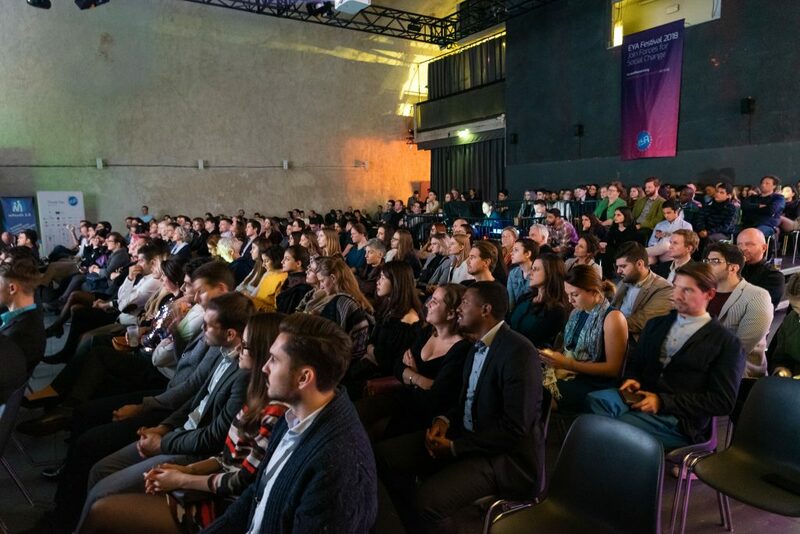 From the 28 November to 1 December, the stage was reserved and the voice was given to young intellectuals from all around the glove, competing for the title of EYA Overall Winner for 2018. The Festival offered fresh approaches in a variety of areas and great ideas on how to solve serious societal challenges and help many disadvantaged people. From online platform for languages to educational programming toys to apps which strive to end world hunger and preserve cultural heritage, the stage presented really brilliant solutions which already are giving their contribution in the everyday lives of many. The vibrant and international audience, joined by the motivational sessions, flames of inspiration, solution jam challenges, “spiced up” the atmosphere and really triggered the creativity of the participants who eagerly were coming up with solutions for highly complex societal issues. The Festival`s program helped many to realize that every change starts step by step, and only with hard work, persistence and sincere belief in your own ideas. Accompanied by the positive energy and enthusiasm from the EYA team, the fun and excitement in all these efforts was clearly not missing. The highlight of the festival for sure was the EYA Gala Evening in the authentic, yet super cool Dom im Berg, a venue located within the castle hill of Graz right in the center of Old Town. 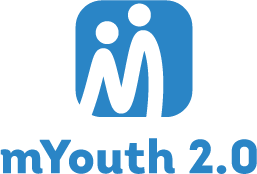 In a very cozy and elegant atmosphere, great hosts and artistic performances, the final announcement of the overall EYA 2018 winner and the overall mYouth 2.0 winners took place, after a very long Jury discussion to the late hours the night before. In a very high competition, the honor to take the EYA 2018 Champion was given to Dalibor Matijevic from Slovenia and his app Food +x, trying to solve the problem of food waste through blockchain technology. Food +x, won amongst twelve other mobile apps in nine different categories. 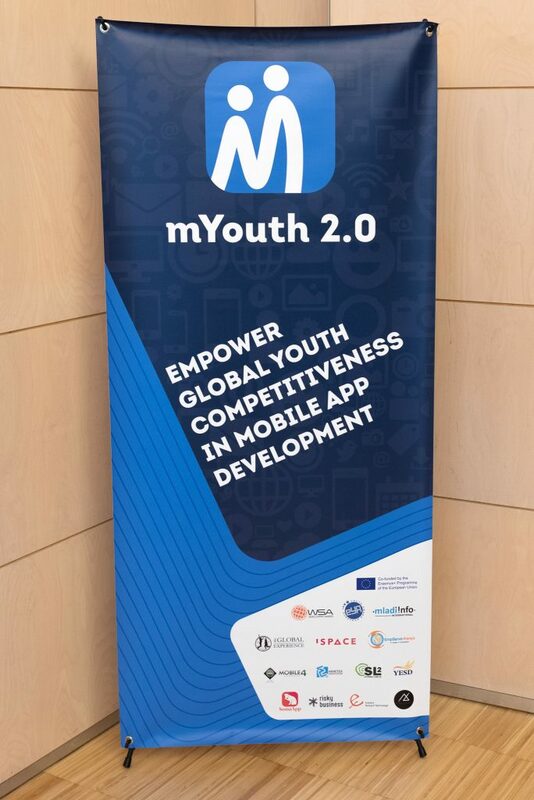 Traditionally, Mladiinfo`s and EYA partnership was celebrated in the special category of mYouth 2.0, where as finalists from Europe, Asia and Africa, the teams of Studentist, Umix and Mtabe respectively, competed for the title of Overall mYouth 2.0 winner. 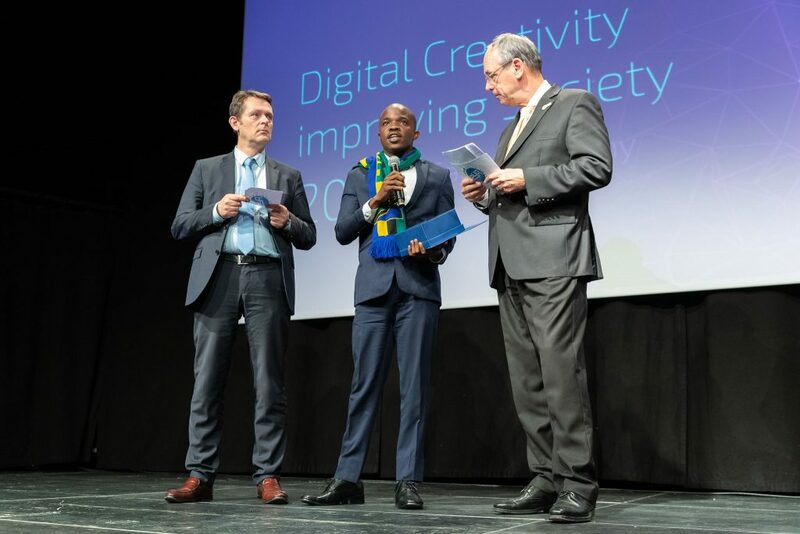 Being voted as most innovative app with the greatest social impact, Mtabe took the victory to Tanzania, and continued the mission of providing instant, curriculum-aligned answers to secondary school students without access to internet and smartphones. What a great and fulfilled three days it were! Congratulations too all young and inspiring people who were on the stage! Looking forward to the next EYA Festival in November 2019!